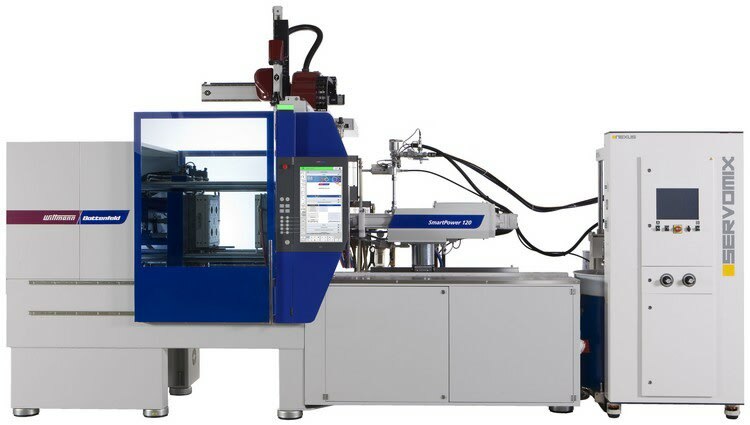 From 21 to 24 May, Wittman Battenfeld will present to trade visitors latest machine and process technology together with automation and auxiliaries for plastics injection molding at the Chinaplas in Guangzhou, the largest trade fair specializing in plastics in the Asian region, at booth 4.1C01. The Asian market is one of the most important markets for the Wittman Group. 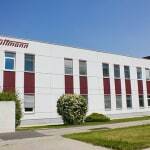 In China, the Wittman Group is not only present with a sales subsidiary of its own, but also produces robots and auxiliaries for the local injection molding industry. Most of these products are destined for the Asian market. The articles manufactured at the production plant in Kunshan include robots, temperature controllers, material loaders and granulators. At this year‘s Chinaplas in Guangzhou, Wittman Battenfeld will demonstrate an LSR application from the automotive sector on a machine from its all-electric EcoPower series. The machine is an EcoPower 160/350 with 1,600 kN clamping force, equipped with LSR technology from Nexus, Austria. The injection unit in open design allows easy integration of the LSR feeding and blending elements. 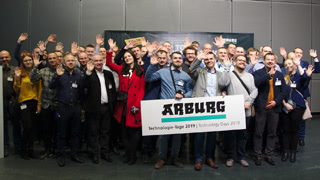 A connector seal for the automotive industry will be produced from LSR supplied by Momentive, Germany with a fully automatic 32-cavity mold equipped with an inspection system from Nexus. The system uses latest cold runner technology supplied by the mold maker with the TIMESHOT needle shut-off control for molds with large numbers of cavities, which is unique on the market. A gripper with a sensor system takes care of automatic parts demolding. 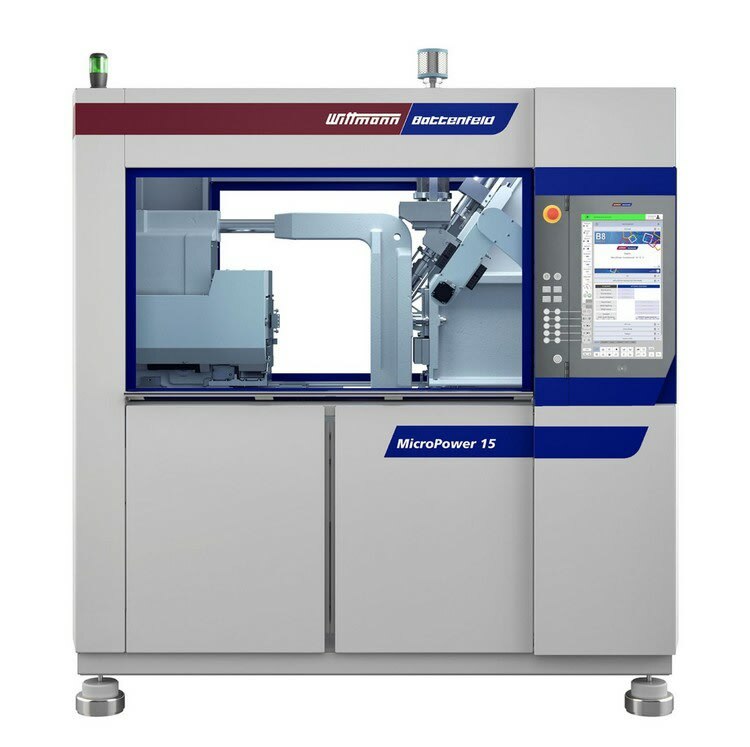 On the second injection molding machine shown at the Chinaplas, a MicroPower 15/10, a medical clamp with a part weight of 0.003 g is manufactured from POM supplied by Ticona within a cycle time of 5 seconds on a MicroPower 15/7.5 with a 4-cavity mold from Microsystems UK. The parts are removed by a W8VS2 Wittman robot – a robot which has been specially designed for the highly dynamic and precise removal of small and micro parts – and passed on to a camera integrated in the production cell and in the machine’s control system for quality inspection. The parts are subsequently separated according to cavities and stacked in a stacking module. In this application, the parts are injected, tested and deposited in the clean room. Furthermore, the Wittman group will demonstrate at the Chinaplas the integration of robots and peripherals into the Unilog B8 control system with the help of an interactive display panel. This display panel will give visitors the opportunity to test directly on site the advantages of the Wittman solution to meet the challenges of Industry 4.0, known as Wittman 4.0. 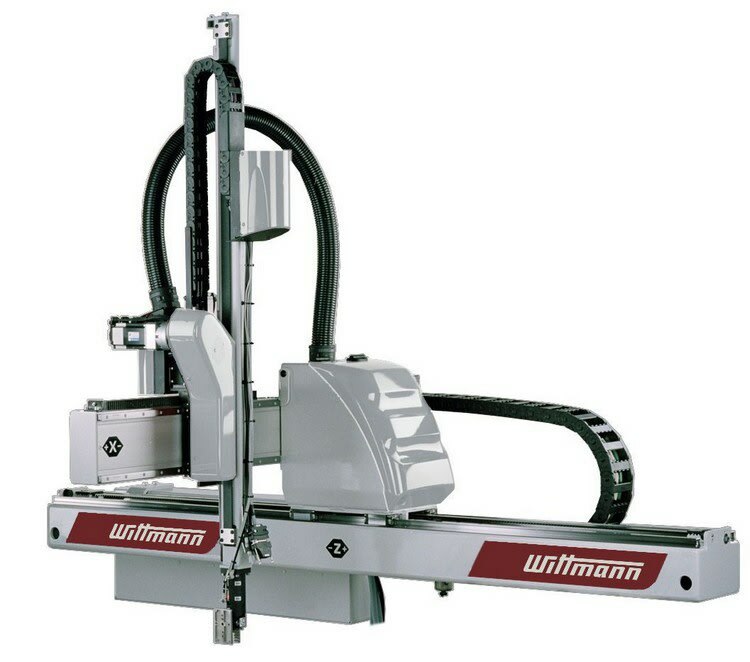 In addition to the robots and auxiliary appliances integrated in the injection molding machines, the Wittman Group will present at the Chinaplas a wide range of robots and auxiliary appliances as stand-alone solutions. The majority of the products exhibited will come from the production plant in Kunshan/China. In the area of automation, robots for smaller injection molding machines will be shown, namely W818TS robots, a Primus 14S and a Primus 16S. These robots recommend themselves primarily by small moving loads and high dynamism for applications in the clamping force range of up to 3,000 kN, thus making for extremely short parts removal times. Moreover, a W838T will be on display. The W838T is the first Asian model which reflects the design vocabulary of the European Wittman pro series. The designers of this appliance have successfully increased the robot’s rigidity to offer their customers a compact, powerful parts removal device. The Wittman range of granulators will also be present at the Chinaplas. On display will be the MAS grinder model MAS 2A, two granulators from the G-Max series, a G-Max 12 and the high-performance G-Max 33, as well as two granulators from the new S-Max series, an S-Max 2 and an S-Max 2 Plus. 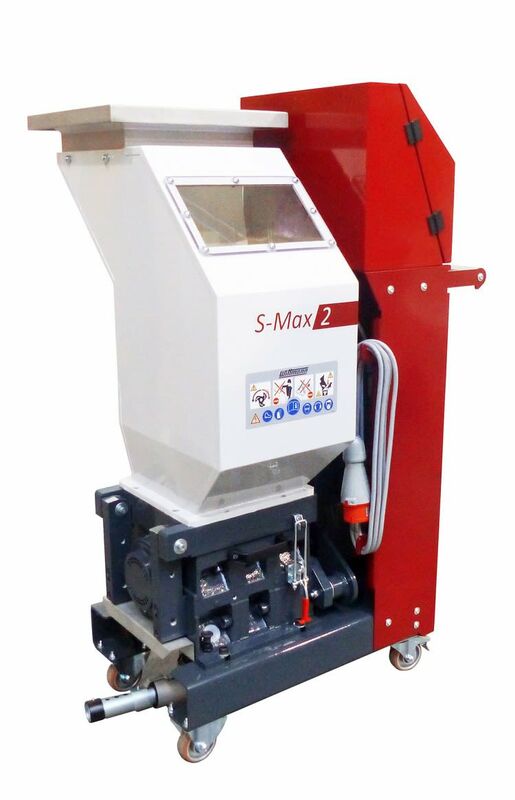 The models from the S-Max series are slow-running granulators for in-line recycling of sprue consisting of hard and brittle engineering plastics. 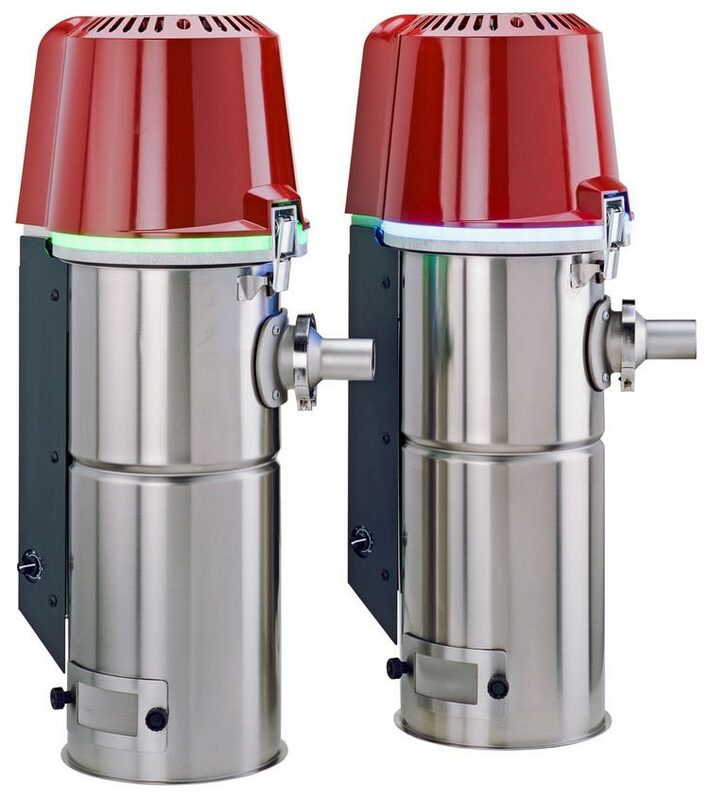 Moreover, Wittman Battenfeld will exhibit two Aton segmented wheel dryers at the Chinaplas. The segmented wheel in this type of dryer consists of a large number of compartments loosely filled with dessicant balls. In combination with the innovative 3-Save process, this enables optimal energy utilization, together with a continuous drying process with a constant low dew point. 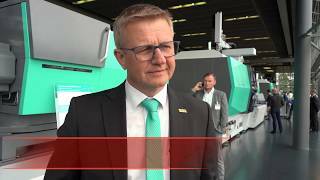 Wittman Battenfeld will demonstrate its expertise in the area of materials handling with the stand-alone loaders Feedmax S 3 and S 3 net and a central material separator from the Feedmax B series. Both types of material loaders stand out by their maintenance friendliness, high process reliability and easy operation.